As America moves further and further away from being a “Christian nation”, culture and even church opposition continues to increase. There is a greater need than ever for perseverance, wisdom, and courage to stand with Christ. There is a greater need than ever to stand on the Scriptures and to cling to Christ. 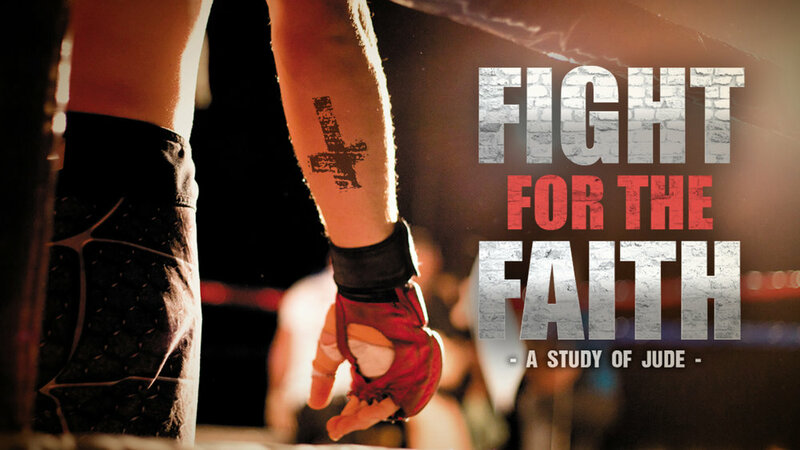 Jude calls us to this fight and urges us to “Fight for the Faith” in this one-chapter book. Today, as we learn a valuable truth from Bible history, the story of God’s faithfulness throughout the ages. It’s a powerful and comforting truth that we see as we unpack the words of Jude and see God’s defense for us. Listen in and know the victory that you have even when the Devil fights to have you eternally.